For other uses, see Depth charge. Depth Charge is the name of five fictional characters from the Transformers series. The first Depth Charge was introduced in 1998 and was a heroic main character in the Beast Wars animated series voiced by David Sobolov. Depth Charge stands 3.4 meters tall and weighs 3.8 tons. He has a top running speed of 65 kilometers per hour in beast mode, but 140 kilometers per hour in robot mode. His top flight speed is mach 9. Beast Wars - A magnificent giant soars through the oceans in regal silence. Depth Charge was commissioned by Optimus Primal to act as a first line of defense against Predacon undersea aggressors. Though he would rather study military strategies than execute them, Depth Charge is a dedicated fighter and inspired leader. Nuclear cybershark drone conducts recon missions, doubles as reinforcement in battle, and fires dual proton torpedoes. Intermediate space-cruiser mode can achieve planetary orbit or withstand the deepest oceanic pressures. As a robot, he fires shrapnel grenades from his chest and can maintain a force field for five mega cycles. With unshakable nerves and Energon-cutlass in hand, Depth Charge leads his brave platoon into battle. Transformers: Universe - Brought back from the other side of the Matrix by Primus and Optimus Primal, Depth Charge knew his role in the upcoming war against the monster planet, Unicron, had only just begun. Having finally dispatched his longtime adversary, Protoform X (known as Rampage during the Beast Wars), this solemn, no-nonsense warrior immediately volunteered to assist King Atlas in operating and maintaining a refugee network within the monster planet himself. Depth Charge demands nothing less than perfection from his comrades. Anything less is unsatisfactory in his eyes and he has no problem letting any lazy Autobot know about it! His fusion-powered cybershark drone conducts recon missions and doubles as a reinforcement in battle. It can also covert into a hand-held blaster, firing dual quantum torpedoes. Depth Charge's beast form is optimized for underwater combat and can withstand the deepest oceanic pressures. Offensive weaponry in this form includes his drone and an ionic launcher mounted on the forward section of his manta ray mode. His intermediate space-cruiser form can maintain planetary orbit for brief periods of time. In robot mode, he launches ionic discs from his chest and wields an Energo-cutlass for hand-to-hand combat. Defensively, his wings can double as shields against most energy-based beams and missiles. Can also act as solar converters to store energy for prolonged missions in the ocean depths. Although Depth Charge is a skilled warrior in any situation, his abilities underneath the waves is second to none. For four stellar cycles, Depth Charge chased Protoform X, encountering him and suffering defeat at many locations, including "Starbase Rugby" (this is an inside joke, referring to an online Transformers store called Rugby's Starbase). Eventually, Depth Charge recaptured Protoform X and requested that X be terminated for his crimes. Instead, Protoform X was taken by the starship Axalon and sentenced to be abandoned in space (as at the time there was no known way to kill him). Depth Charge was not satisfied with this ruling. He decided to find Protoform X on his own, and finish what had been started. His search led him through an anomaly in space, and landed on prehistoric Earth in the middle of the Beast Wars (specifically, just at the start of Season Three). He became a transmetal in the process, and scanned the beast form of a manta ray, which could also be converted into a flight mode. Protoform X (now known as Rampage) was indeed on prehistoric Earth. Depth Charge was surprised to find the crew of the Axalon (who had long since been thought lost) on Earth as well, but did not care about the war they were involved in. Unfortunately Rampage promptly stranded him on Earth by blowing up his ship. He still held a deep resentment of the other Maximals for not destroying Rampage when they had the chance, and chose to operate solo in pursuit of Rampage, much to the regret of Optimus Primal. Depth Charge proved to be both an ally and a liability during this time. After Cheetor had been by Rampage, he fell into the ocean, where Depth Charge saved him. He later saved Rattrap from Rampage while the Maximal was on a mission to retrieve the defense computer Sentinel, keeping the psychotic Predacon busy. However, when he (eventually) decided to aid Rattrap and Silverbolt after a Predacon ambush he was responsible for losing the computer as well after a mid-air collision with Silverbolt. He eventually accepted Optimus' offer to join the Maximals, single-handedly defeating an attack on The Ark. He also developed a certain friendship with some of the team, appearing deeply affected at Cheetor's apparent death at one point, although he tried to conceal how much the loss affected him. However, Depth Charge still disobeyed orders when other matters took priority, such as the hunt for Rampage - something that nearly caused his doom when he was attacked by the Dinobot clone, who shared Rampage's Spark. Depth Charge would meet his archenemy one last time in the series finale Nemesis. When Megatron's plan to raise the Nemesis to destroy The Ark was realized, Depth Charge, being the only water based Maximal, was sent to stop him. He ran straight into Rampage, who had been ordered to see off any threats (ironically, this was the one time Depth Charge did not want to fight Rampage, as his priority was to stop the Nemesis). The two engaged in battle for the last time, with Depth Charge eventually impaling Rampage's Spark core with a shard of raw Energon Crystal. Laughing, the evil Predacon exploded, setting off the raw Energon nearby and taking Depth Charge with him. Some fans believe that because he succeeded in destroying Rampage, either Dinobot II's spark was made whole or a rift was opened that allowed the original Dinobot to at least partially return in his clone's body, thus allowing him to betray Megatron, subsequently making Depth Charge largely responsible for the Maximal victory in the Beast Wars. In the Transformers: Universe toy line and comic series, Depth Charge was brought back to life to aid in the battle against Unicron. With any two Transformers from past or present to choose from, Primus revived Depth Charge and Rhinox to assist Optimus Primal in battle against the Decepticons. However, Depth Charge was initially angry at having been revived, no doubt believing that without Rampage to hunt his life was pointless. Leaving, Depth Charge encountered Rattrap, who was being attacked by Blackarachnia (brainwashed into the service of Unicron). Depth Charge saved him, but was then set upon by Blackarachnia's servants - the Piranacons. 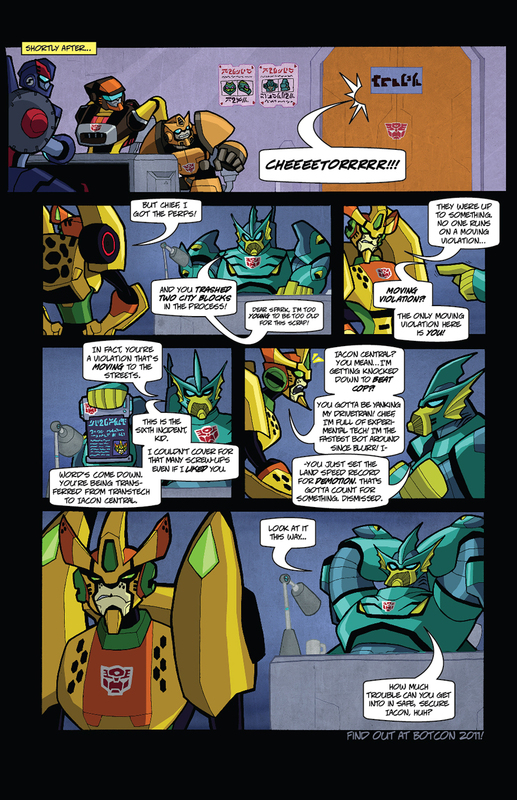 Although Universe ended at issue three, a bio printed at the end of the issue indicated that Depth Charge would have gone on to assist Autobot Leader King Atlas in establishing a refugee network for those escaping Unicron's gladiatorial games, using his experience as Colony Omicron's security officer to maintain the efficiency and secrecy of the network. Dpeth Charge appears in the story Beast Wars Shattered Glass by Fun Publications. Ultra Magnus and his Autobots discover that their ship's high security storage rooms were damaged in the crash and the Autobot bodies in stasis pods were lost. They head out to recover the pods when they are attacked by Dirge and Seawing. They find the pods, but also discover that Megatron has gotten to them first. He's converted the three Autobots into Autojetter, Autolauncher and Scylla, who are loyal to him. The Decepticons attack the Autobots, who are only saved thanks to the intervention of Depth Charge. Ultra Magnus orders the retreat, as there is nothing left for them to recover. Depth Charge informs the Autobots of his mission to save the multiverse. Depth Charge appears in the TFcon 2012 live script reading prelude comic. In this story he appears on future Cybertron where the Maximal leaders refuse to let him go after Protoform X. Many fans consider Depth Charge to be a Triple Changer, despite the term not appearing on his toy box. His box did state that he features "three mode conversion" however. The commercial for Rampage and Depth Charge even stated they had "Triple Changing action." The Universe toy was a 2004 recoloring of the Beast Wars version. Hasbro designer Aaron Archer claimed at BotCon 2004 that this toy's color scheme was meant to resemble Boba Fett's Slave I. A recolor of Transformers Terradive. This toy is the 2013 membership toy for the Transformers Collectors Club. Depth Charge was among the characters originally proposed for the TransTech line up. After the Beast Machines line ended, Hasbro planned a follow-up series called Transtech. The Transtech concept was a line intended to take Transformers to their most futuristic. Hasbro commissioned sets of designs from Draxhall Jump. The series was supposedly to bring back some of the characters who died in Beast Wars along with some characters from the original eighties cartoon series, all in new, techno-organic bodies, though with vehicle alternate modes instead of the animals used in Beast Machines. Many concept sketches and even a few toy prototypes were made, but Hasbro scrapped the idea in favor of bringing Car Robots to their markets as Transformers: Robots in Disguise. Concept sketches or prototype toys have been seen for Blackarachnia, Cheetor, Depth Charge, Megatron, Nightscream, Optimus Prime, Scavenger, Shockwave, Silverbolt, Soundwave, Starscream and a new character called Immorticon. There were also rumors of a Transtech Dinobot. 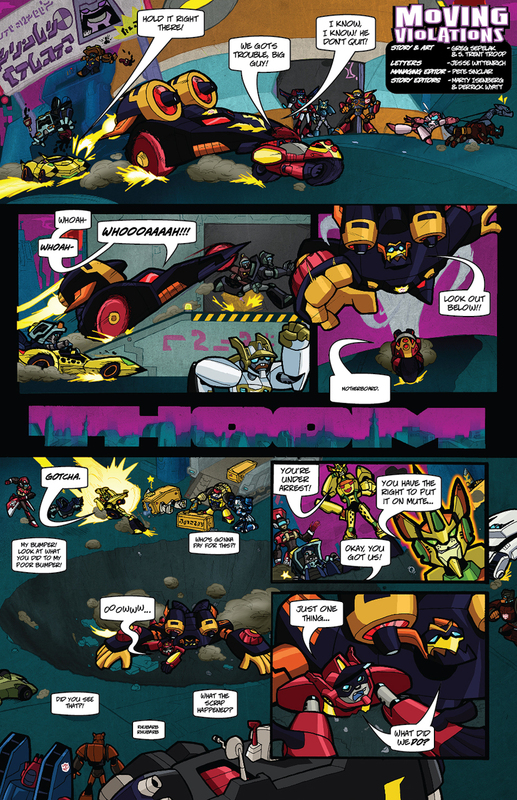 TransTech Depth Charge appeared among the Guards of Shockwave in the story Transcendent by Fun Publications. He was attacked the raid by Alpha Trion on Shockwave's lab to free Breakaway. Depthcharge was originally created to appear in the movie along with Springer and Breakaway and concept art was even created for him but due to the writer strike, he failed to make it to the final line up along with Breakaway and Springer. He has a third "battle mode" which changes his robot mode legs into pontoons which allow him to travel over water in robot mode. Depthcharge is a shrewd military strategist. Autobots and Decepticons alike are accustomed to ground and air-based combat, but ocean tactics are unfamiliar to them. Depthcharge uses this to his advantage, choosing a stealth boat mode to spy on Decepticon forces from the nearest port. Fast and smart, Depthcharge never shies away from battle - but he prefers to be armed with the element of surprise. A new mold. This toy was redecoed into the Decepticon called Sonar. With a real Visby measuring 7260 centimeters long and this toy measuring 11.5 centimeters, the toy has a scale of about 1:631. This would also mean with the toy robot standing 11 centimeters tall, the real robot would stand around 6944 centimeters (227.8 feet) tall. The Depth Charge in the Animated story is a homage to Beast Wars Depth Charge, although he is depicted as an Autobot. After Cheetor caused massive property damage, Depth Charger transfered the young Autobot to Iacon in Moving Violations. Depth Charge appears in "A Flash Forward Epilogue" by Fun Publications. He is found playing cards with other Transformers in Axiom Nexus when a pair of Optimus Primes interrupt with a mission. ↑ Furman, Simon (2004). Transformers: The Ultimate Guide. DK Publishing Inc.. p. 92. ISBN 1405304618.